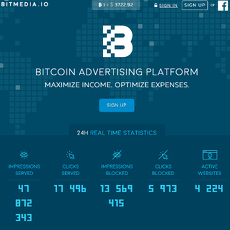 CoinAd is a bitcoin advertising network which focuses on making it simple for advertisers to bulk buy niche and focused adverts. Publishers are invite-only which ensures some level of quality for advertisers. 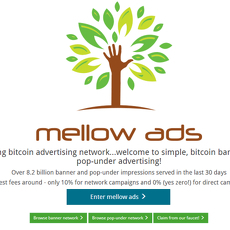 The advertising network is exclusively focussed on bitcoin. Many competitors in the space cater to a wider audience including cryptocurrencies and ICO projects. 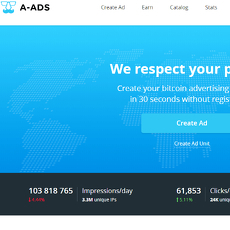 There are both good and bad points to CoinAd been exclusively for bitcoin. 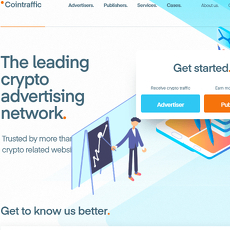 It caters more specifically for a certain type of advertiser but it also means that the service will not be applicable to a lot of potential advertisers within the cryptocurrency space. Metrics are posted on the website for the last 30 days. Most competitors include daily or live metrics. Impressions work out at around 60 million per day which is lower than some competitors which range from 150 to 250 million. 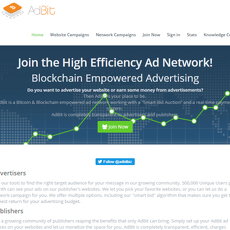 In terms of publishers, payouts are made weekly which is longer than the typical daily payouts made by competitors. The site has been hacked before also but only for a small amount and it dealt with it quickly and effectively online by reporting the incident. The hack did not affect any users.